Posted by Terrence Murphy Sr. on Friday, March 29th, 2019 at 8:21am. Beautiful updated house that is perfect for you to live in now but with a great opportunity down the road to expand! 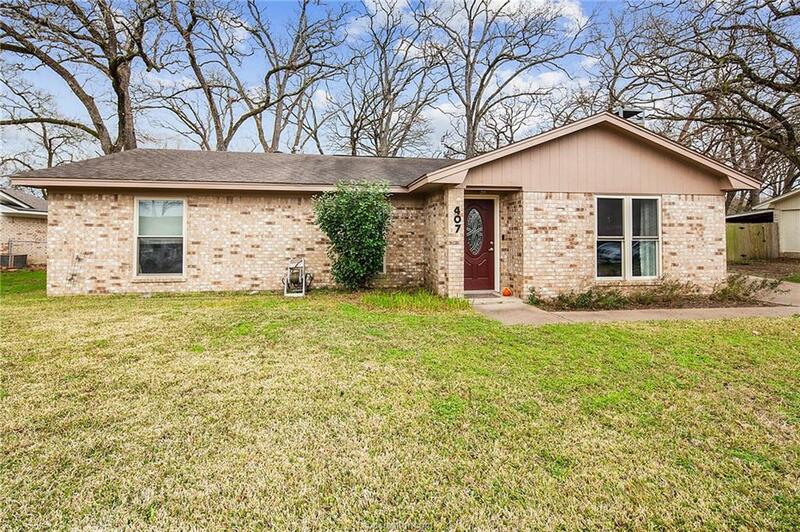 This 3 bedroom 2 bathroom home has recently been updated with new flooring throughout, new paint on the interior and exterior and several new appliances. Step inside and be greeted by a large open living room with a cedar wooden beam, new light fixtures and a beautiful brick fireplace. Each bedroom has its own walk in closet and the master bedroom has its own full bathroom. Outside you will find the spacious backyard with a covered patio, large mature trees and a storage shed! The location of this home could not be better! Need to get to campus? Well you are only 7 minutes from Texas A&M and 10 minutes from Blinn! Need groceries? HEB is only 1 mile away!! Hurry over to see this one!